This feature is available starting from the Professional Plan and can be very useful if you want to send out a link with a more personal touch. They say a picture is worth a thousand words, well… we have just launched the ability to add images to your survey! Add an image to further explain or expand on a question, add your company logo to get a more branded look or simply just add an image to make your survey stand out more! 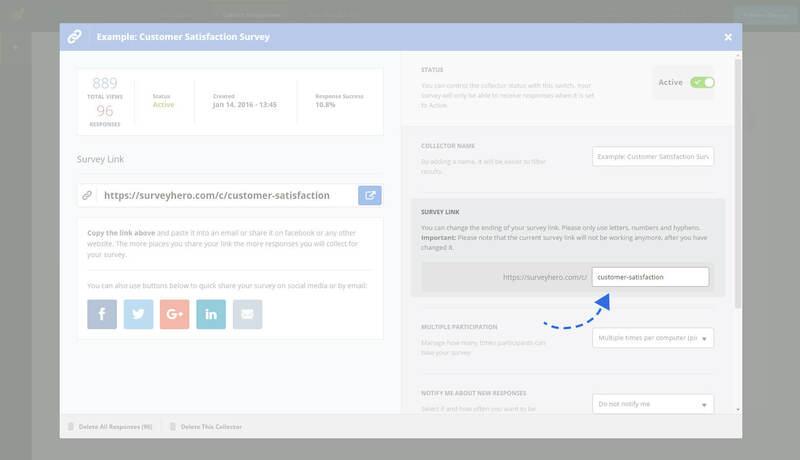 We really look forward to seeing this feature bring your surveys to life! Feeling festive? We have added 6 great themes for the holiday season! Are you organizing a Christmas or New Year party? Then these themes are perfect for you! The new themes are already in the Theme Library! Go try them on for size.